Happy Cinco de mayo!!! 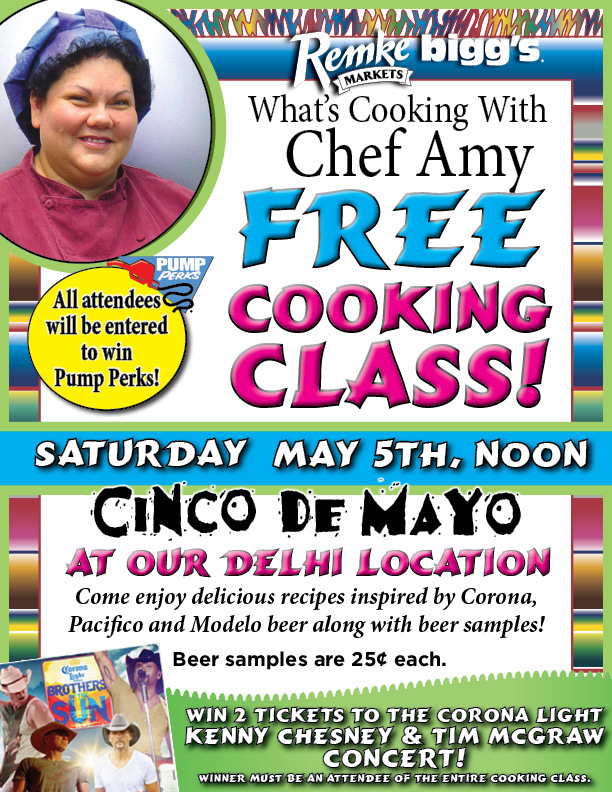 I have been very busy coming up with recipes for my class today, we will also be pairing my recipes with Corona, Pacifico and Modelo. I will be posting those recipes one each day starting on Monday. Have a great day everyone, and if you live in Cincinnati…come and see me!! !